The Cisco SG500-52P is a 48 port 10/100/1000 PoE stackable switch with 4 Gigabit Ethernet ports for expansion. 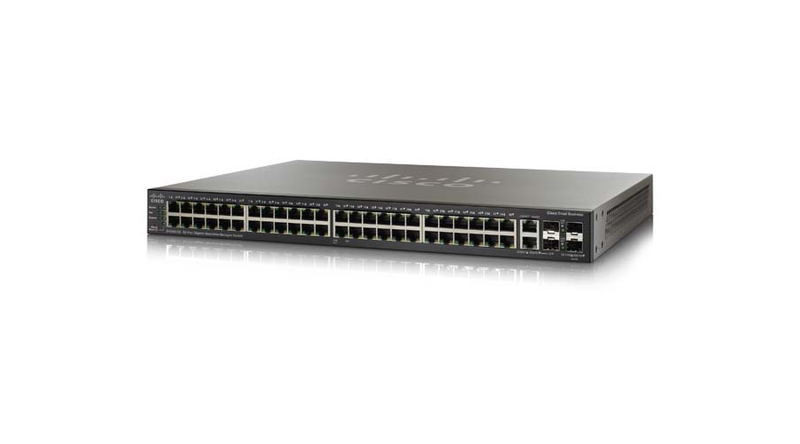 The SG500-52P switch provides 48 LAN ports of max-PoE Gigabit Ethernet connectivity, 2 combo GigE ports and 2 1/5 GigE SFP ports, providing a solid foundation for your current business applications, as well as those you are planning for the future. At the same time, these switches are easy to deploy and manage, without a large IT staff. The Cisco 500 Series Stackable Managed Switches provide the ideal technology foundation for demanding business networks. They offer the perfect mix of advanced features needed to ensure the availability of critical applications. 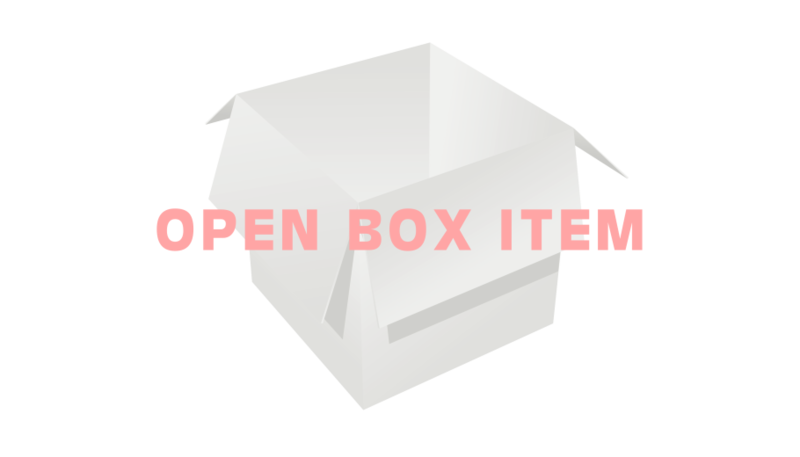 Now you can protect business information and provide a solid foundation for your current business applications, as well as those you are planning for the future-all in a package you can afford. Cisco 500 Series Stackable Managed Switches support: High Reliability and Resiliency: Keep your network up and running with advanced redundancy and availability features that reduce downtime and improve network resiliency so your business never slows down. Strong Security: Advanced security features protect your business data and keep unauthorized users off your network. Power-Efficient: A variety of power-saving features across all models provide one of the industry's most extensive energy-efficient switching portfolios. Simplified Network Setup and Operations: Intuitive browser-based tools, auto-configuration and discovery, and true stacking make theses switches easy to use and manage, and simplify day-to-day network operations. Peace of Mind: All Cisco 500 Series Switches are protected for the life of the product by the Cisco Limited Lifetime Hardware Warranty, including next-business-day advance replacement (where available).